Tokyo: India and Japan on Friday signed a landmark civil nuclear cooperation deal after talks between Prime Minister Narendra Modi and his counterpart Shinzo Abe, a move that will boost bilateral economic and security ties and facilitate US-based players to set up atomic plants in India. 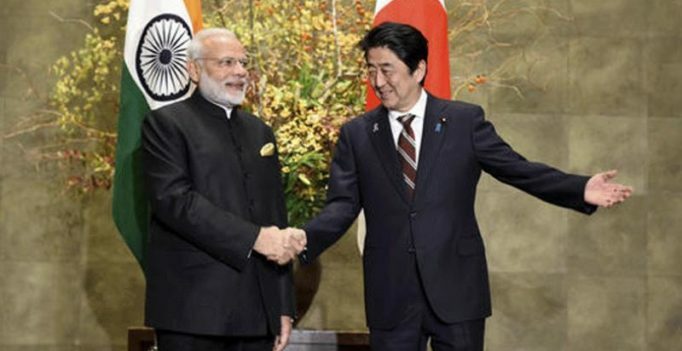 The two countries had reached a broad agreement for cooperation in civil nuclear energy sector during Abe’s visit to India in December last year, but the deal was yet to be signed as some issues were yet to be worked out. “A landmark deal for a cleaner, greener world! PM @narendramodi and PM @AbeShinzo witness exchange of the landmark Civil Nuclear Agreement,” External Affairs Ministry spokesman Vikas Swarup tweeted on Friday. The deal would allow Japan to export nuclear technology to India, making it the first non-NPT signatory to have such a deal with Tokyo. It would also cement the bilateral economic and security ties as the two countries warm up to counter anassertive China. There was political resistance in Japan – the only country to suffer atomic bombings during World War II – against a nuclear deal with India, particularly after the disaster at the Fukushima Nuclear Power Plant in 2011. In another boost for India, Shinzo Abe also supported its bid to enter the elite 48-nation Nuclear Suppliers Group. “I wish to thank Prime Minister Abe for the support extended for India’s membership of the Nuclear Suppliers Group,” Modi said. Other nations who have signed civil nuclear deal with India include the US, Russia, South Korea, Mangolia, France, Namibia, Argentina, Canada, Kazakhstan and Australia. Salman’s entire Khandaan in one frame, more unseen pics from family’s Rakhi day!